We are a body of women, separated only by land or age, but joined together by spirit. We are one. We recognize the unique, undeniable power we possess and pay homage to the tender contributions we’ve made to this life. We celebrate our collective greatness and individual achievements. We are, and will always be, a reflection of each other. When one succeeds, we all do. Although the history books deny us, the memory of time praises our name. We are and have been enough. And we always will be. Women need a support system. We need a trusted circle of sisters who will listen to us and if necessary, help us through our pain. We need a group of other women who will give us a fresh perspective on a particular situation or invite us to try a new approach. We need a tribe of sisters who will help us laugh away our tears and remind us to create better memories. Build your support system of women who can be there for you. But let’s get this straight. We don’t need pacifiers. This support system must be made up of people who are interested in your ultimate success. The good, the bad and the sweet parts of it. They can’t be friends who look the other way, because we can’t grow if we aren’t challenged. We need a salient sisterhood of women who give each other the benefit of the doubt. Who understand the load we carry, and offer a hand instead of criticism. We want real sisters who give us room to grow and mess up and still welcome us with open arms. We want unconditional love and forgiveness. This world doesn’t score very high when it comes to forgiving us. We want a support system of women who share a similar journey and who won’t judge us during our trials. 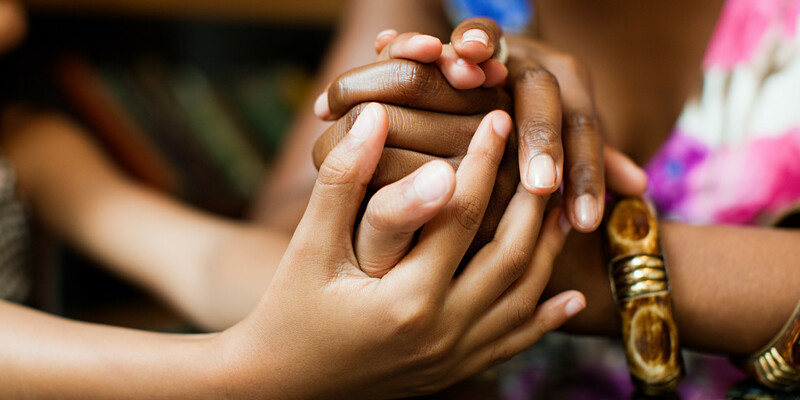 We want this sisterhood to lend us their compassion, especially when we are in pain. Because we all go through something. We want the sisterhood to allow us to take off our Superwoman capes and rid us of the shame of not being able to do it all. We want sisters who reject the concept of perfection and support our flaws. We prefer this new world of women to open its arms to the complexity of the jobs we do and lift us up in spirit. Because that’s what real women should do for one another. We want a support system that doesn’t allow us to suffer in silence and to hold our hands and guide us to a safe place where we can be fragile and vulnerable and feminine. We want a system of support that runs to our aid when we are in need because we deserve nothing less. Spend time building onto your circle of supportive women. It’s one of the best investments you can make in your life.